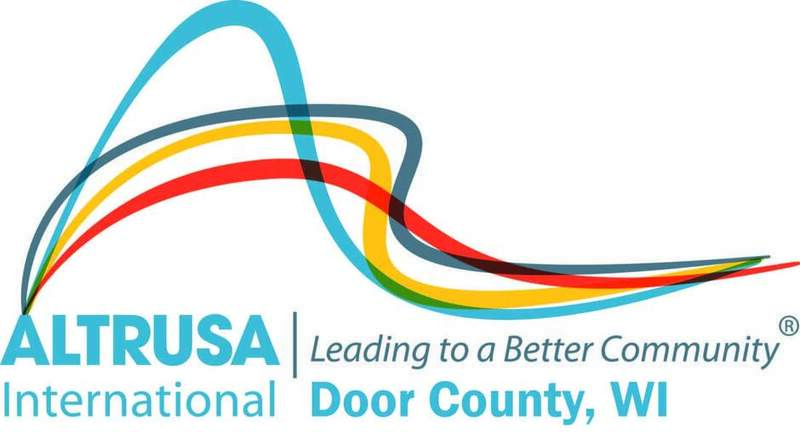 Altrusa offers a unique opportunity to make Door County a better community in which to live through its commitment to improving and increasing literacy for area children and their families, as well as other vulnerable populations. The Door County club functions with a Board of Directors, a strong committee system and monthly membership meetings; allowing every member to be personally involved in club projects and decisions. General membership dinner meetings are held the third Tuesday of each month at various Door County locations. The dinner meeting starts at 6:00 p.m., with time for socializing at 5:30 p.m. Each meeting is packed with food, fun, laughter and purpose and often a community-based speaker. Altrusa of Door County was founded in 1988. It belongs to District Seven which includes Iowa, Minnesota, Nebraska, North and South Dakota, Upper Michigan and Wisconsin. The club is dedicated to reaching out to all of Door County, encouraging women from all walks of life to become involved in the community. Back to School Fair: This exciting program is our most ambitious and impactful project. Held annually, it meets the growing need of children and families in Door County to be ready for the first day of school. In August, a special day is set aside for these children to receive grade level school supplies, backpacks, toiletries, school spirit wear, shoes, socks, underwear, a water bottle and a pleasure reading book. In 1998, we reached 50 children in the area and in 2018, we supported 619 children and their families. Born-to-Read: Parents of newborn children are presented a gift package including two board books and a poem to encourage early reading to the child at home. Books are provided in English or Spanish. Fundraising Projects: Each year there are several events to raise funds for our many literacy-based projects and services. These include staffing area festival booths, collecting grocery store receipts and our annual "Holiday Extravaganza." Altrusa of Door County periodically receives a percent of the proceeds from the Green Door Thrift store in Sturgeon Bay as well. Literacy for the Blind: A club member is currently transcribing children's books into Braille to be donated to the Wisconsin Center for the Blind and Visually Impaired in Janesville, WI. Make a Difference Day Project: Each fall, a bookcase filled with age appropriate books is donated to Habitat For Humanity's newest home owner. Mary Louise Kiehnau Women's Scholarship: Five scholarships, twice a year, are provided to women in Door County planning to enroll in additional education to enhance their lives and employment opportunities. Reading Friends: Altrusans volunteer to read in Door County's early childhood and kindergarten classrooms, reaching over 500 children each year. Volunteers read five times a year. The children are each given their own copy of the books to take home and enjoy, and one copy is donated to the classroom or the library for future reading. Senior Reading Program: Current periodicals, donated by Altrusa members at our monthly meetings, are delivered to local assisted living facilities and the Sturgeon Bay Senior Citizen Center each month. Waiting Room Reading: Children's books are donated to local area pediatric waiting rooms for children to enjoy. To learn more about becoming a member, please visit our Membership Page or contact us.